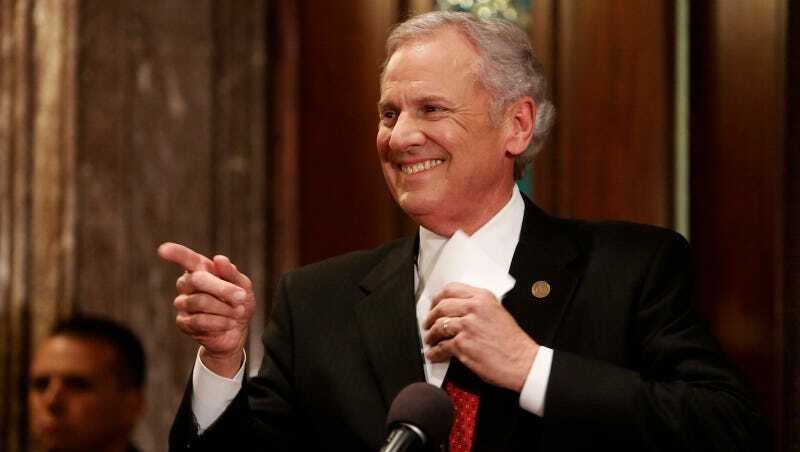 Former South Carolina lieutenant governor Henry McMaster, who was sworn in as governor after Nikki Haley was confirmed as ambassador to the United Nations, has not seen fit to resign his membership from a country club with a history of only letting in white people. A Change.org petition with over 1,000 signatures calls for McMaster to renounce his membership to Forest Lake Country Club, which the petition says “to this day” has yet to accept a black member. As of 2014, the club reportedly had not admitted any black members, although sources told The State at the time that one interracial couple was... on the waiting list. In its 2014 report, The State noted that Forest Lake made news in 1984 when it did not extend the traditional honorary membership to a Jewish general. Bakari Sellers, who ran unsuccessfully against McMaster for lieutenant governor in 2014, tried to make his membership to the club an issue; McMaster brushed off the criticism, and voters, depressingly, didn’t seem to care. We’ve reached out to Forest Lake Club for comment on their current membership and will update if we receive a response; they did not respond to other outlets’ requests.